Da Da Da Da Life Goes On*: Alexandra: you are much missed in Plymouth! 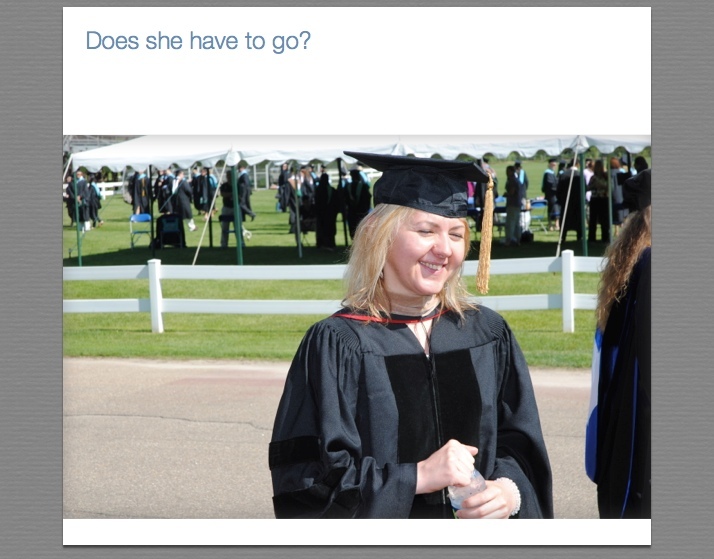 This Plymouth State University photo, already captioned as seen here, was sent me by our provost, Dr. Julie Bernier, immediately following the 2012 Commencement Exercises. Sadly, I had to reply, "'Fraid so!" Professor Alexandra Muţiu of Babeş-Bolyai University, you have made a great contribution to our students at Plymouth State University, and to our accounting team at the College of Business Administration. We at your American home wish you safe travels and much happiness. Thank you very much for coming to work with us this spring.